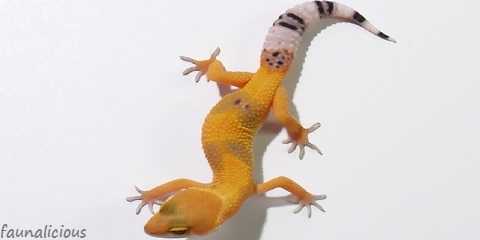 Leopard gecko morphs are the color mutation which happens in leopard geckos. Most people might only know some of the color mutation or morphs. 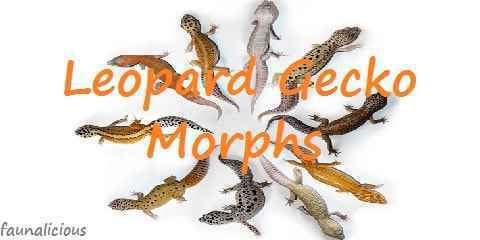 How many morphs of leopard geckos are there? In fact, there are around 100 morphs that a leopard gecko can have. For the morphs enthusiasts, the rare color mutation of the leopard gecko can increase the selling price of the leopard gecko itself. Thus, you should have consoled yourself when you see the color of the leopard gecko which is going to be sold very costly. 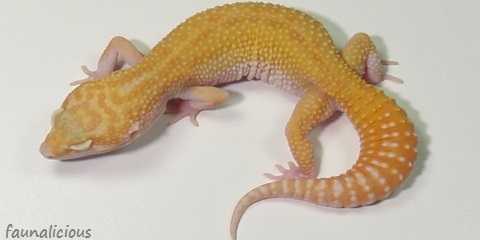 In this occasion, the writer is going to explain about some most color mutations that happen in leopard gecko. The initial stage of the color mutation of the leopard gecko is the wild type. 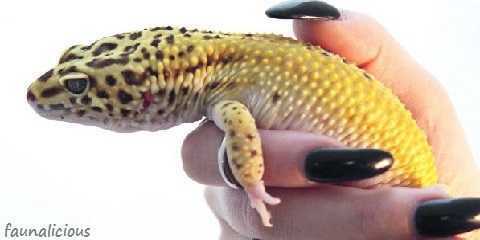 It is the stage where the leopard gecko will turn to be yellow and there would be some black spots altogether with this yellow skin. It is the most common type that others might not value your leopard gecko in this color with high value. 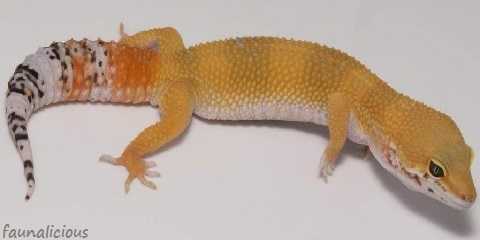 High yellow is the rare one found between a hundred wild types of the leopard gecko. As you might read it correctly, this type has darker color of the yellow but it provides less black spots. 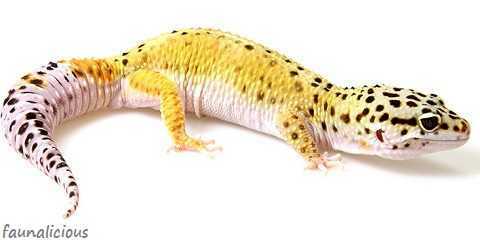 Blizzard type of the leopard gecko has the white, purple, and also yellow. It is often referred as the Midnight Blizzard which have eclipsed and also black eyes. Carrot tail is another morph of the leopard gecko which has the color of orange in less percentage especially in the area of the tail. Sometimes people wrongly categorize the pet either in carrot tail or in tangerine because it looks quite similar to another. As it has been previously mentioned, tangerine gecko contains 80% orange all over the body while carrot tail has the rest percentage of the orange color usage in the body. Raptor is the abbreviation of the Red Eyed Patternless Tremper Orange. 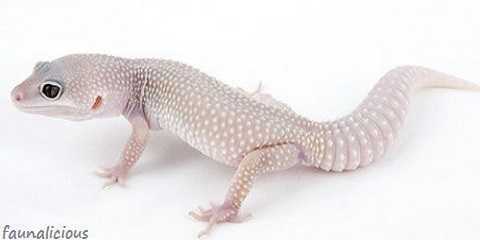 This is the albino type of the leopard gecko. It has orange body with the red eyes. In fact, it has no spots all over the body. It is just the orange skin with the red eyes. A leopard gecko will be able to be considered as the hypo melanistic type when it has at least 10 or even less spots all over the body. 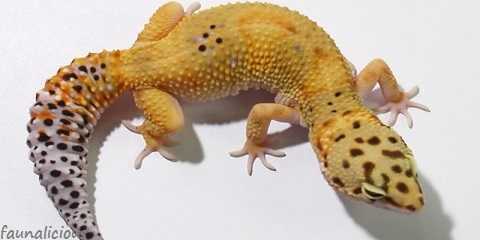 However when you find no spots all over the body in leopard gecko will be considered as the Super Hypo. Different from the hypo melanistic, this type has the dark pigment of the body but it is not the black one. It is a kind of color mutation in the light color pigment. You can still see some spots but it is darker than the wild type. The morph of the leopard gecko that has the pattern of the bold head is called the Halloween Mask. It changes and develops based on the size of the body from the hatchlings to adults. Which one do you like the most from all of these leopard gecko morphs?